The Help A Little One Foundation is all about quality of life. We started out providing small comforts to children who live very limited lives in nursing homes. Our holiday gift program continues this effort today. H.A.L.O. also continues to partner with individual families to purchase adaptive equipment such as chairs and tricycles to promote social interaction and make life easier for young people receiving home-based care. Almost 20 years ago we began underwriting the cost of recreational outings that provide a change of scenery or new sensory experiences for the children in facilities. We also now fund equipment such as the pool supplies at NEPC, which are featured in this newsletter. Through our professionally managed Family Circle division, we support much-needed social activities in the community for children with severe neurological impairment, too. It says “Gramme” on Catherine Ann MacLean’s badge at the Plymouth Health and Rehabilitation Care Center – a title she wears proudly. The mother of six is “Nana” to her own grandchildren and great-grandchild, but as “Gramme” she says she lives for the three hours she spends each weekday as foster grandmother to students at the pediatric nursing home’s day school. 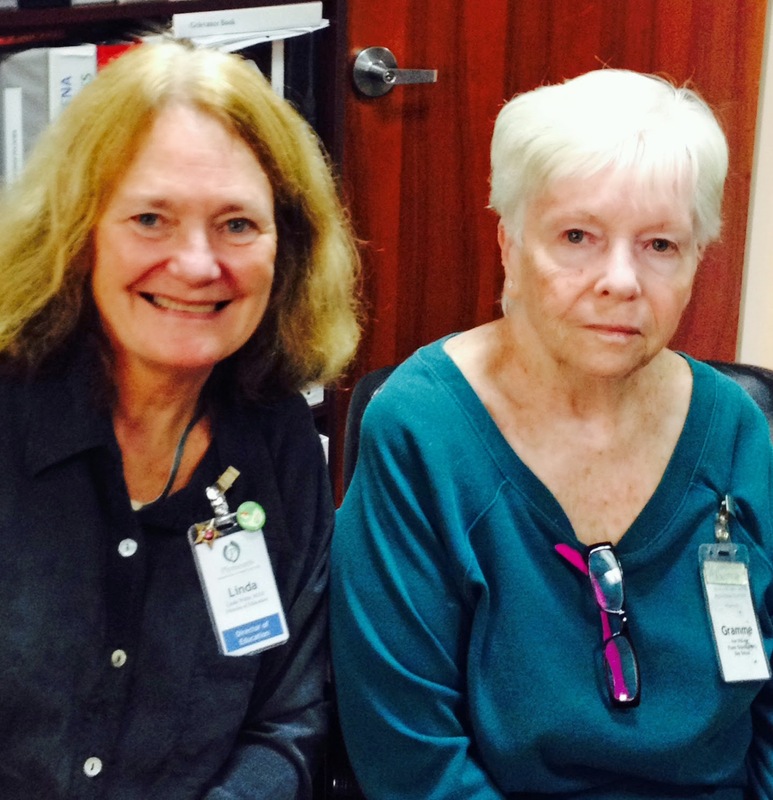 “I just melt when Christina turns her head at the sound of my voice,” says Ann. Ann knows the “kids” (age 2 to 22+) well, from her 12 years as assistant art teacher and certified nursing assistant at the school for children with severe neurological impairment. After retirement she missed interacting with them, so she returned through the Coastline Elderly Services foster grandparent program. Mostly, Ann reads books to the kids and works on their educational goals. “They participate as much as they can -- for some, picking their head up off their chest and focusing on the book could be one of their goals,” she said. She also enjoys celebrating holidays with the kids and helping at the school’s summer camp. Education Director Linda White said she is grateful for Ann’s continued connection to the students, because many people find it difficult to build relationships with individuals who have severe disabilities. Occasionally, potential volunteers or students in high school vocational program come by to explore opportunities at the school, but many don’t return, she said. 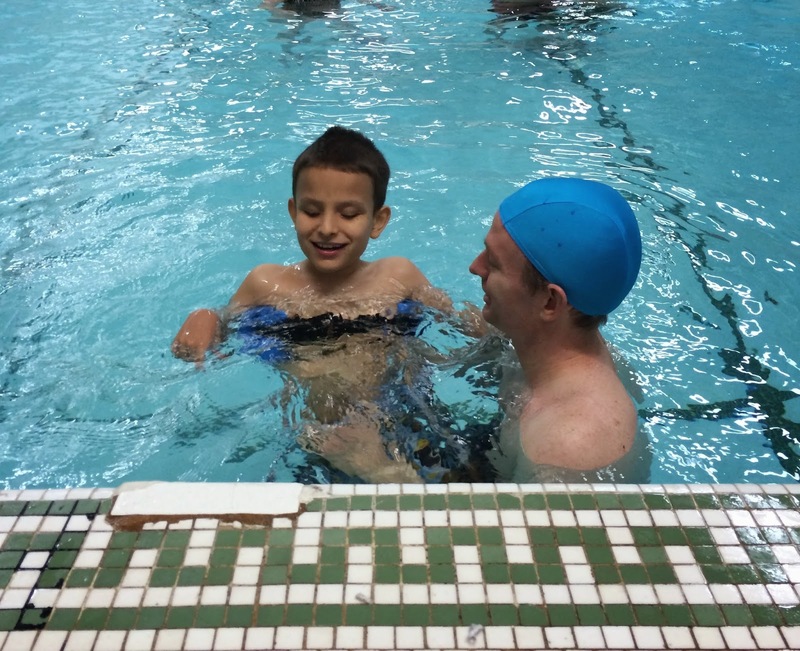 Ivan and Esoos, father and son, enjoy family swim time at the Newton YMCA. H.A.L.O.’s Family Circle is a resource for Massachusetts families who care for medically complex children at home. Services include the Family Circle newsletter and Social Recreational Programming. The Sunday Swim & Sing program, managed by Greater Boston Jewish Family & Children’s Service (JF&CS), has been its most enduring activity. Since 2006 Swim & Sing has provided structured social and therapeutic activities to participants who are generally isolated from their peers and their community. 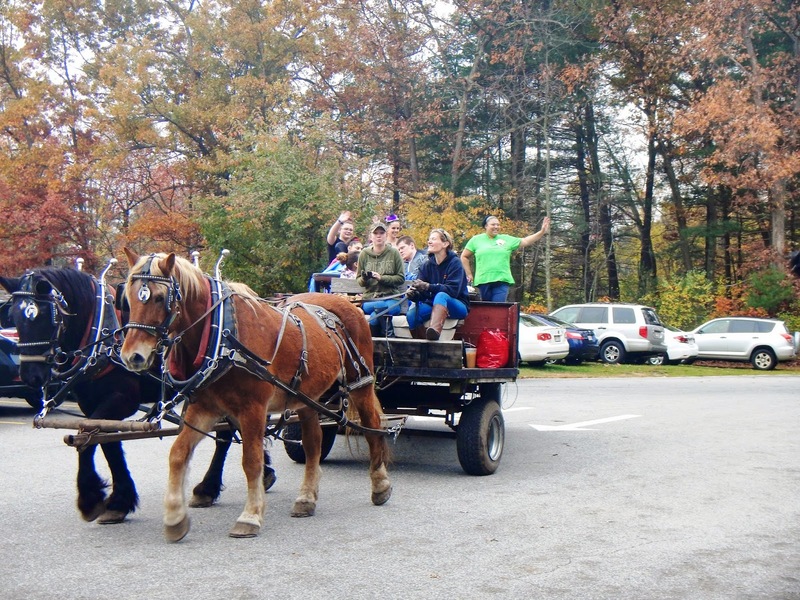 For three hours on 30 Sundays during the year, professional staffers work directly with 12 individuals (ages 5-34) in music therapy, movement, and swimming sessions in Newton, MA, and 9 individuals in Stoughton, MA for 20 Sundays. One-to-one staffing builds relationships that grow from week to week; it also ensures that each participant's unique needs and abilities are addressed. There are 60+ families on the waiting list for Swim & Sing, so for the past three years waitlisted families have been offered a chance to participate in the pool and music activities with their child on a limited schedule. Caitlin Bohara, JF&CS community programs manager, explained that 10 three-hour sessions are available in the current activities cycle at Newton YMCA. She noted that parents praise the opportunity for their children to socialize. Being weightless in the water is a calming and healing experience for children with severe neurological impairment, says Laura Kirk, therapeutic recreation supervisor at New England Pediatric Care. The right equipment helps the kids relax and have fun, she explained. A recent gift from H.A.L.O. enabled NEPC to update pool supplies and equipment used by all residents and day students at the 80-bed facility for young people with complex medical needs. “Having different sized head floats, floatation devices and water shoes makes the kids so much more comfortable during therapy and family swim time,” Laura said. The new towels and towel warmer have been especially appreciated, she added because so many of the young people are hypothermic and don’t tolerate cold well. Why does Cameron Tease volunteer at Cedarcrest Center for Children with Disabilities each week? “I see it as part of a continuum,” said Cameron, who recently retired from management in manufacturing to work in the nonprofit sector. The Keene, NH community strongly supported his son Sean after a car accident severely disabled the 17 year-old in 1989, he said. Sean spent five years in a facility two hours from his family after his accident. Finally, Cameron and Sean’s mother bought and renovated a house in Keene, negotiated waivers with Medicaid, and collaborated with community providers to bring him home. Medicaid approved a budget for three caregiver shifts a day, and family members and volunteers from Sean’s high school, Keene State and the community took slots to stretch the funds. Many helped Sean socialize, taking him downtown, to coffee houses and theatres. “They helped him be as independent as possible, and part of the community for twelve good years,” said Cameron. Sean passed away in 2007, but Cameron didn’t forget what a difference people had made in his son’s life. “They were like family,” he said. Cameron began volunteering at Cedarcrest, where he had previously served on the Board of Trustees. He visits with two young residents weekly. This year Cameron took a position as Director of Resource Development for Monadnock United Way. 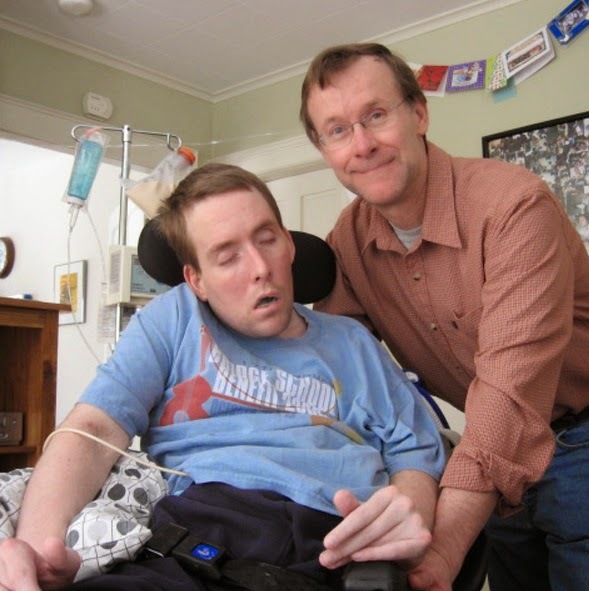 Along with some of Sean’s caregivers, he established The Sean Tease Scholarship at Monadnock Developmental Services to recognize the positive difference direct service providers make in the lives of people like his son. so she can play with her twin. The Help A little One Foundation recently helped Lily C.'s family to purchase a Special Tomato Hi-Low Multi-Positioning Seat Seating System, designed for children who need postural support. This adaptive chair and footplate is adjustable for height and depth, so it “grows” with the child, eliminating the need to buy costly new equipment every year. “We are so grateful for H.A.L.O. Lily uses her feeding chair several times a day and it allows her to be high or low while her brother and twin sister are playing. She can always be involved,” said her mom, Terri. The broad, surrounding tray also enables Lily to prop up her elbows so she can hold her Sippy cup independently. 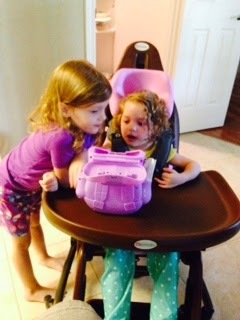 “The chair is very helpful for positioning when Lily is receiving occupational and ABA therapy, too,” she added. The family has spent significant amounts every year to supplement what their insurance provides for four-year-old Lily, but Terri said the family needed some extra help this year to meet the needs of all three of their children: Luke, 7, Lily, and her twin Lexi. She discovered H.A.L.O. online and was pleased her request was approved.